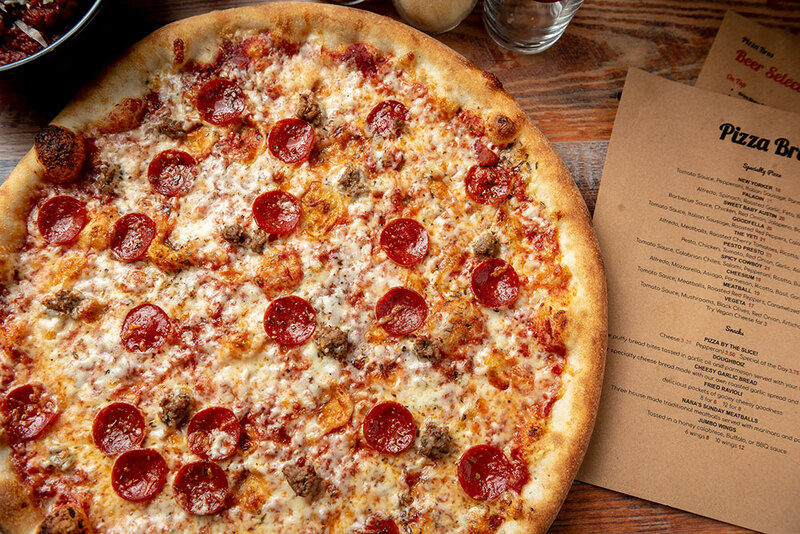 (16") Tomato sauce, pepperoni, Italian sausage, Parmesan, and oregano. 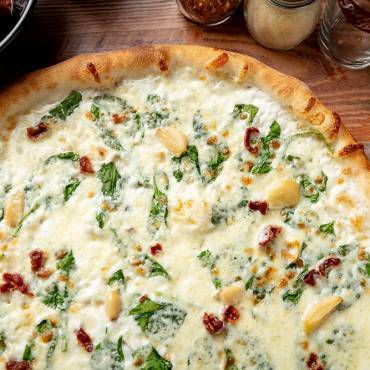 (16") Alfredo sauce, spinach, roasted garlic, feta, and bacon. 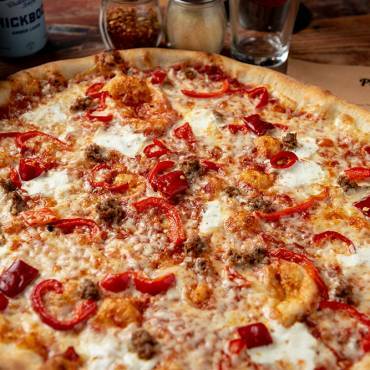 (16″) Tomato sauce, Italian sausage, roasted red peppers, Calabrian chiles, and ricotta. 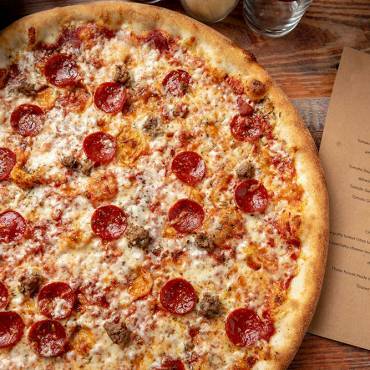 (16″) Tomato sauce, pepperoni, Italian sausage, Parmesan, and oregano. 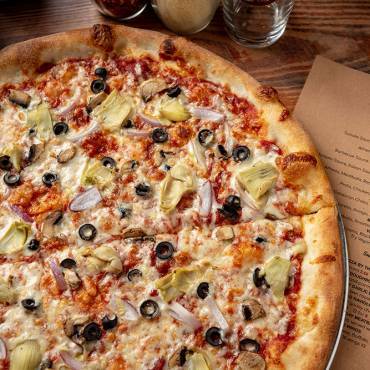 (16″) Tomato sauce, mushrooms, black olives, red onion, artichoke, and oregano. 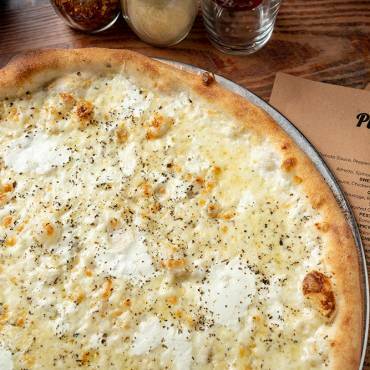 (16″) Alfredo sauce, mozzarella, Asiago, Parmesan, ricotta, basil, and garlic oil drizzle. 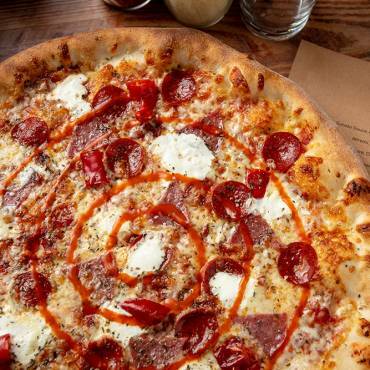 (16″) Tomato sauce, Calabrian chiles, salami, pepperoni, ricotta, Buffalo swirl, and oregano. 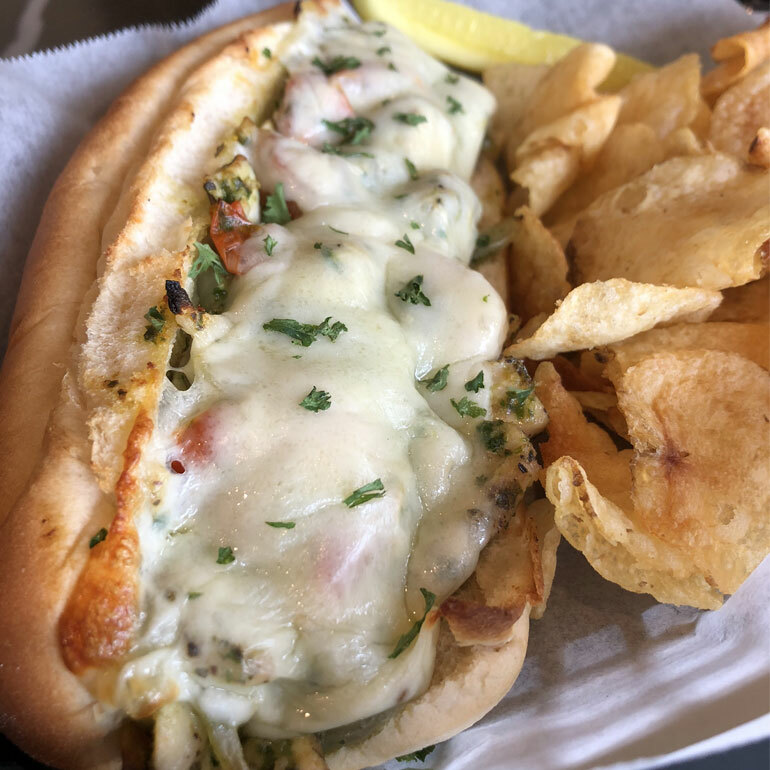 (16″) Tomato Sauce, Roasted Cherry Tomatoes, Chicken, Roasted Garlic, Parmesan, and Basil. 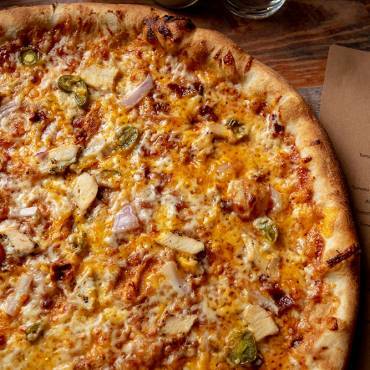 (16″) BBQ sauce, chicken, red onion, jalapeño, bacon, and Cheddar. 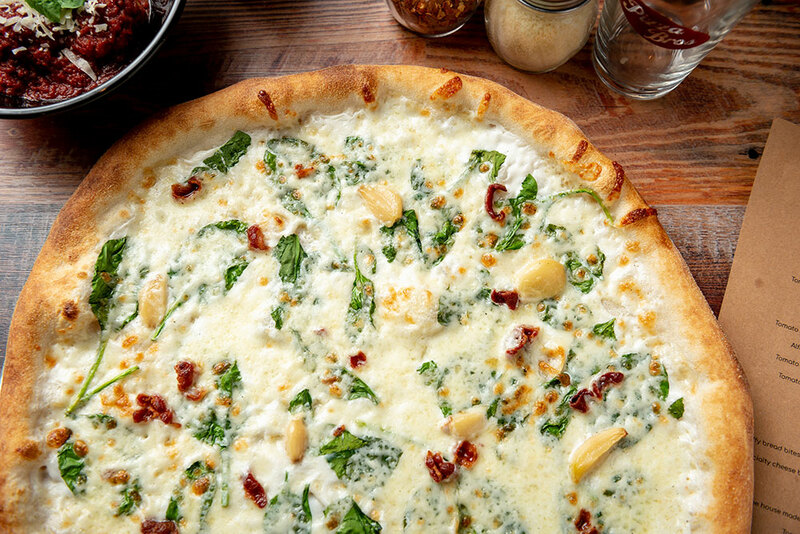 (16″) Alfredo sauce, spinach, roasted garlic, feta, and bacon. 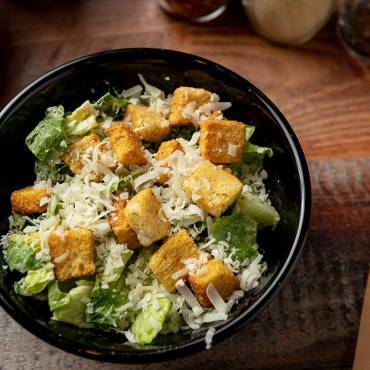 Tossed in your choice of honey Calabrese, Buffalo, or BBQ sauce. 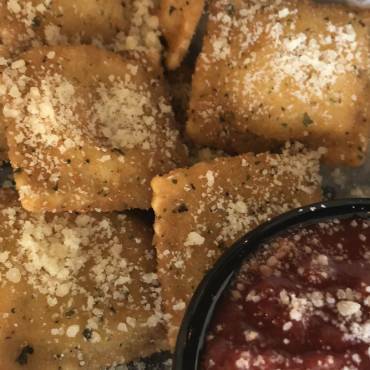 Delicious breaded pockets of gooey cheesy goodness. Served with marinara. 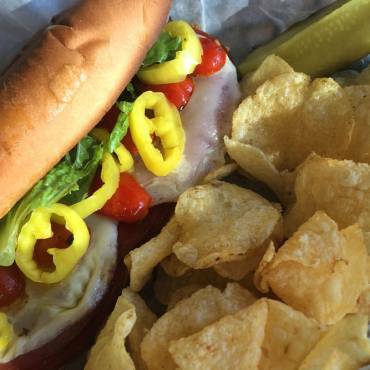 Your choice of cheese, pepperoni pizza slice or special of the day. 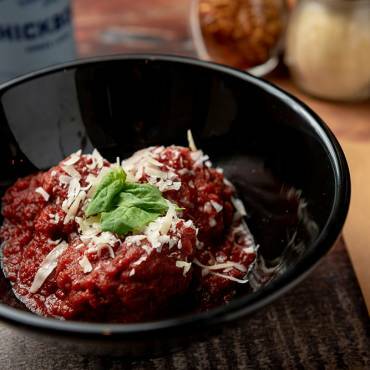 (3) House-made traditional meatballs served with marinara and Parmesan. 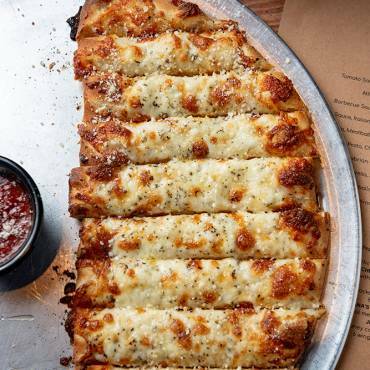 Our specialty cheese bread made with roasted garlic spread and melty mozzarella. Served with marinara. 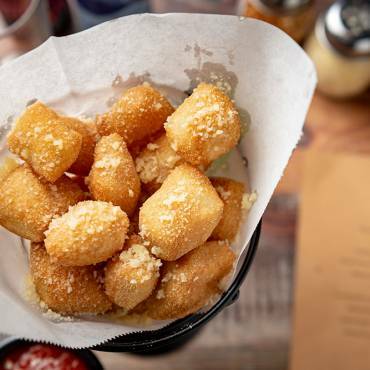 Little puffy bread bites tossed in garlic oil and Parmesan. 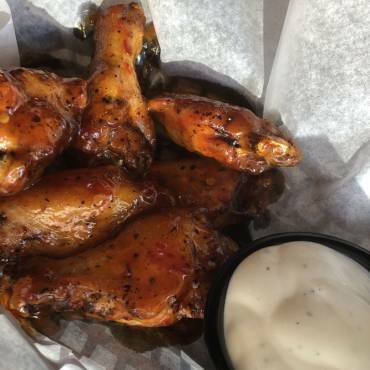 Served with your choice of (2) sauces. 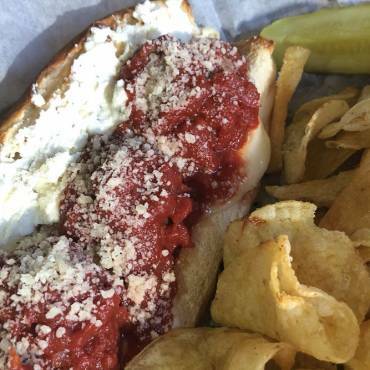 Nana’s Sunday meatballs, marinara, provolone, and seasoned ricotta spread. 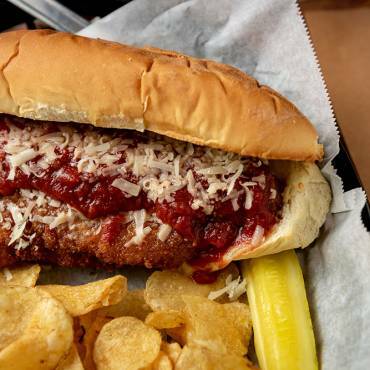 Crusted chicken tenders, marinara, provolone, and plenty of Parmesan. 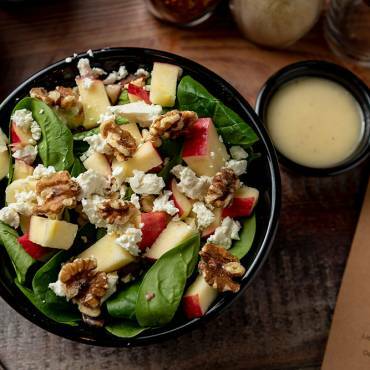 Spinach, toasted walnuts, feta, sliced apple, and house-made honey vinaigrette. 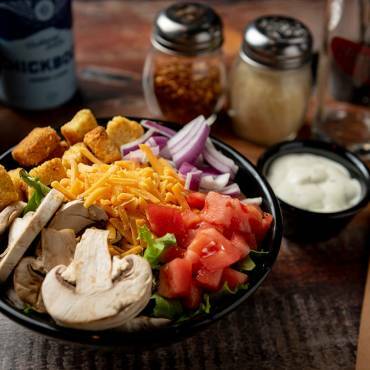 Mixed greens, tomato, red onion, mushroom, cheddar cheese, croutons, and your choice of dressing. 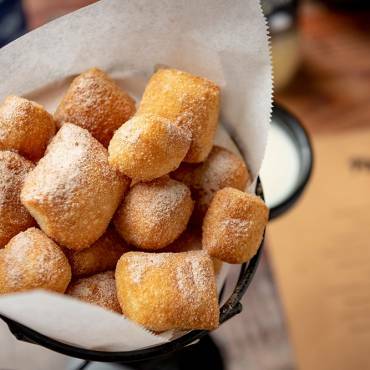 These bite-sized doughnut pieces are tossed in cinnamon sugar and served with icing. Slab of the good stuff. We went to Pizza Bros yesterday for the first time. 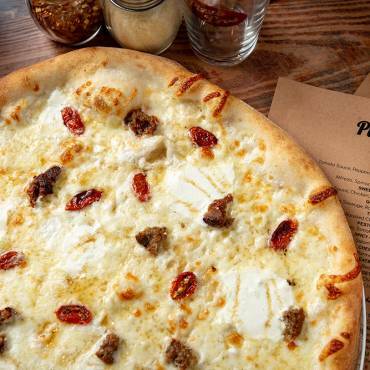 Very nice place and atmosphere, pleasant staff and the pizza was awesome. Our server pointed us to the pizza of the day which was the Yeti. . delicious. Try it out, you'll like it for sure. 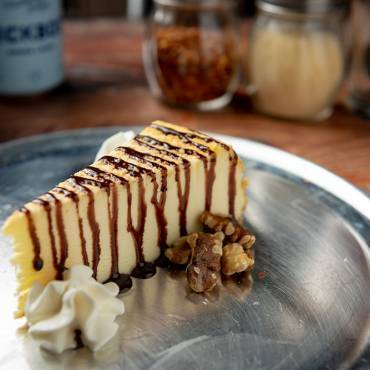 The cheesecake wasn't bad either. 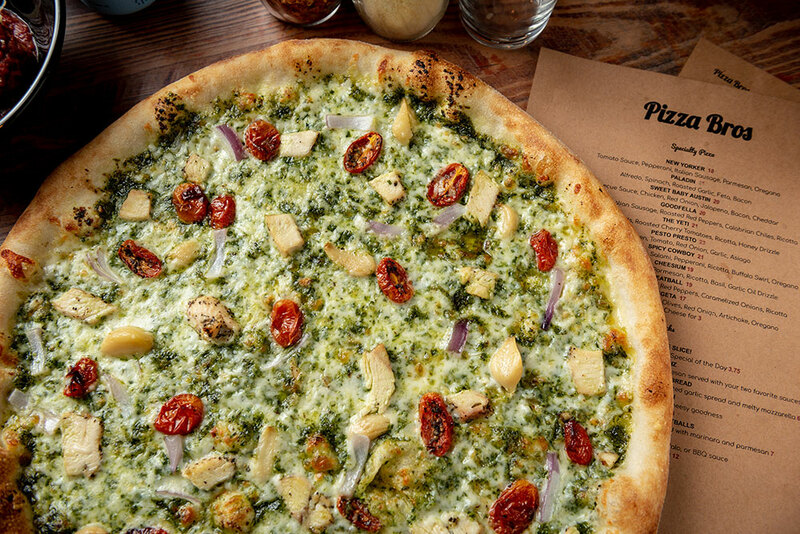 I would give my life savings to have this pizza every day for the rest of my life. IT IS THAT DAMN GOOD. 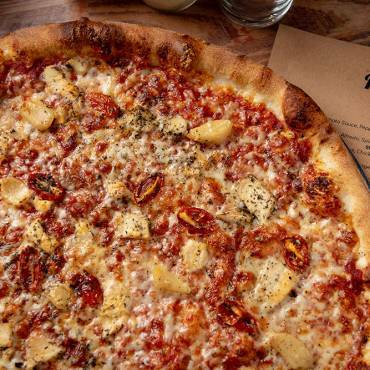 If you aren't getting your pizza here....something is seriously wrong with you. 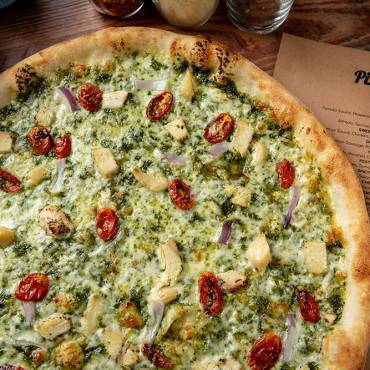 The crust is perfect. The sauce is SO tasty. 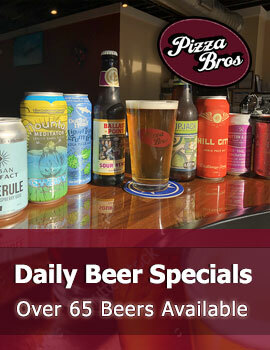 Great beer options. 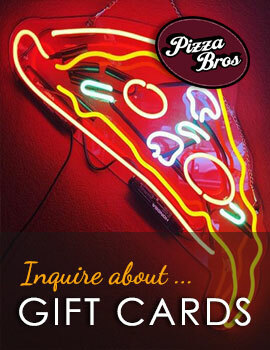 ...Basically, I love Pizza Bros. 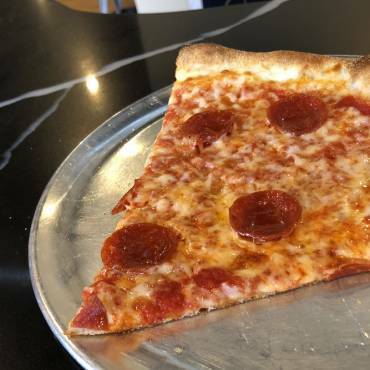 This is the best pizza in Chattanooga! 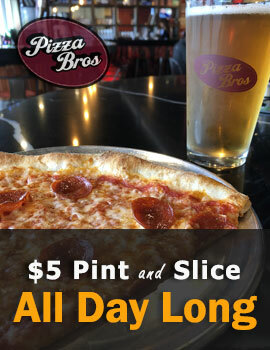 The all day $5 pint and pizza is an amazing value! The setting is very cozy and the staff are very helpful! Excellent service by Marisa. I highly recommend this place!